Feels like flying in the sky. 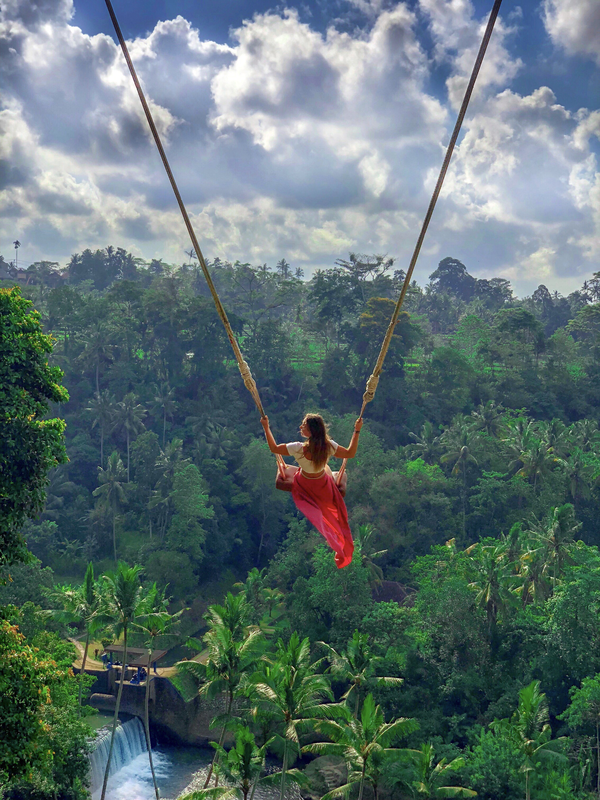 Swings while overlooking the jungle In the valley surrounded by the great nature of Bali will be surely unforgettable memories of your life. In addition to swings, there are various places such as nests, megaliths, etc. that have become ones of the most instagrammable spots in Bali. But as in life, chill for the best result.